Six people have been killed in attacks on villages of the Dogon ethnic community in central Mali, local officials and a security source said as the UN mission called for an end to the "spiral of violence" afflicting the region. The attacks followed a deadly raid on Saturday in the village of Ogassogou, home to the Fulani herding community, near the town of Mopti. Some 160 people died in the assault, local officials and security sources said. A militia from the Dogon ethnic group -- a hunting and farming community with a long history of tension with the Fulani over access to land -- is suspected to have carried out Saturday's raid. "This spiral of violence must cease immediately," the UN mission in Mali, MINUSMA, said in a statement. A local councillor in the area, Oumar Diallo, said the Dogon village of Ouadou was "attacked by armed men". "Houses were burnt, the provisional death toll is four dead. In another village around Bankass, two women were also killed," he told AFP. 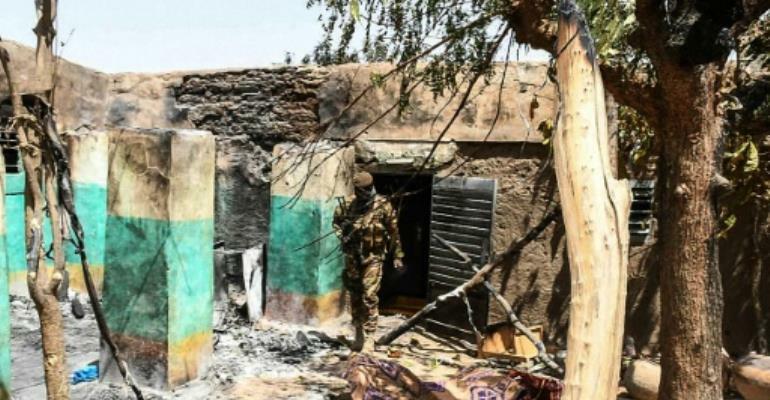 A Malian security source confirmed the death toll, as did MINUSMA, which said the attack occurred on the night of Monday to Tuesday and added that "several houses were torched, cattle were stolen". The UN rights office in Geneva said earlier Tuesday it had sent a team of investigators to the region. Saturday's raid was the deadliest attack in Mali since the 2013 French-led military intervention that drove back jihadist groups who had taken control of the north of the country. Jihadist raids remain a persistent threat, and in the centre of the country, an ethnic mosaic, the attacks have had a bloody impact on groups with a history of rivalry. The Fulani have been accused of supporting a jihadist preacher, Amadou Koufa, who rose to prominence in central Mali four years ago. So-called self-defence groups have emerged in the Dogon community in the declared role of providing protection against the insurgents. But these militias have also used their status to attack the Fulani. Violence between the Fulani and Dogon and between the Fulani and Bambara ethnic group claimed some 500 civilian lives last year, according to UN figures.